Home/Events, Graffiti Art, Mural Production, Team Building Workshops, Uncategorized/OPSWAT invades 1AM! Putting the SWAT in OPSWAT, the company’s team was an artistic force to be reckoned with when they came to the gallery for an evening of team-building! 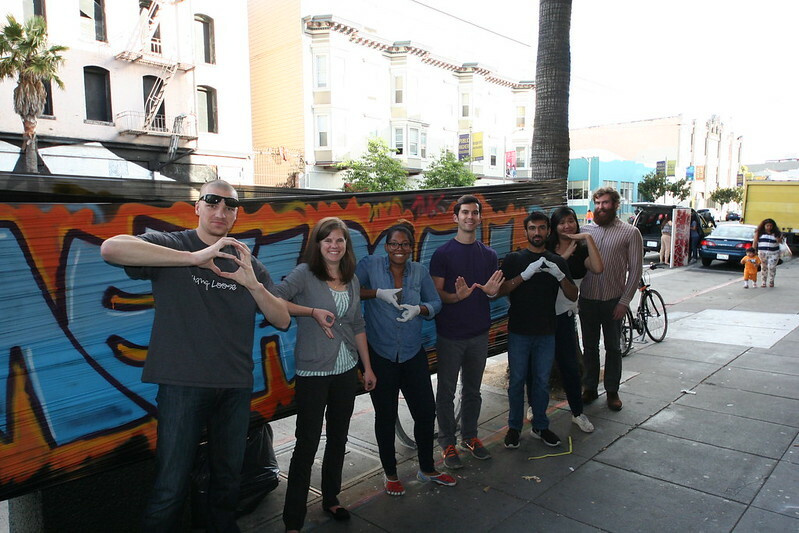 The team didn’t take a canvas back to their office, but they created an awesome mural on our plastic wrap outside with the word “Metascale” written across it. Please email us at privateevents@1amsf.com to set up your team-building workshop with our gallery!